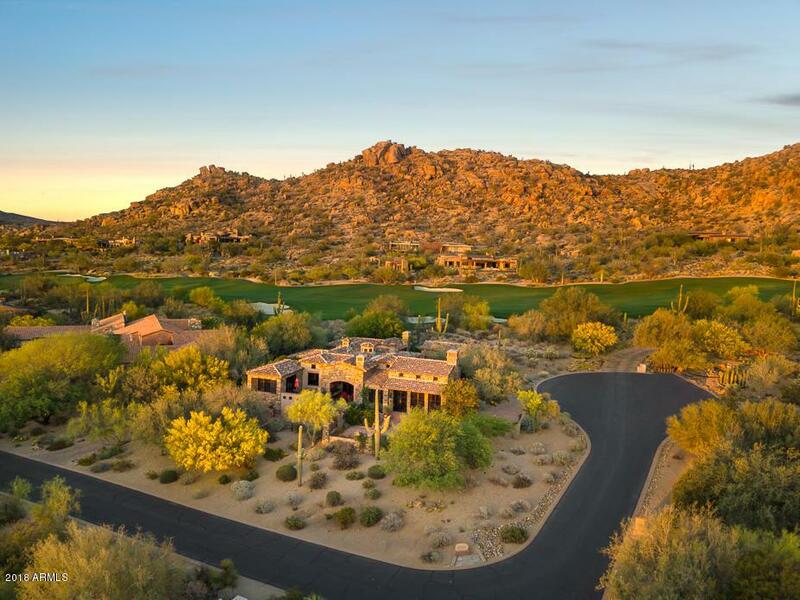 This fabulous, one of a kind, custom home has wonderful views from every window, bringing the out of doors inside. Situated on a hillside lot which allows for an interesting layout on 3 levels, the master suite and all main living areas are on the primary level. 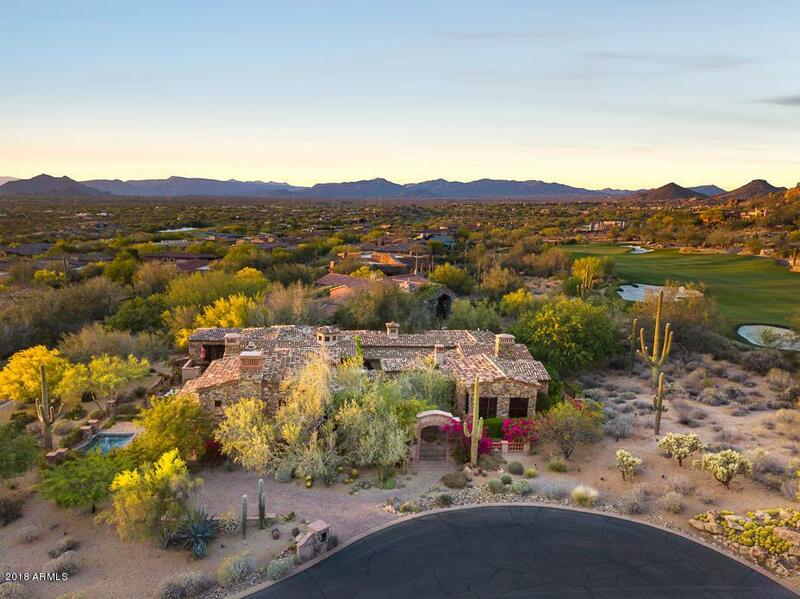 Built around an interior courtyard and fountain, this home is warm and inviting with private terraces and views of Pinnacle Peak, sunsets and city lights. 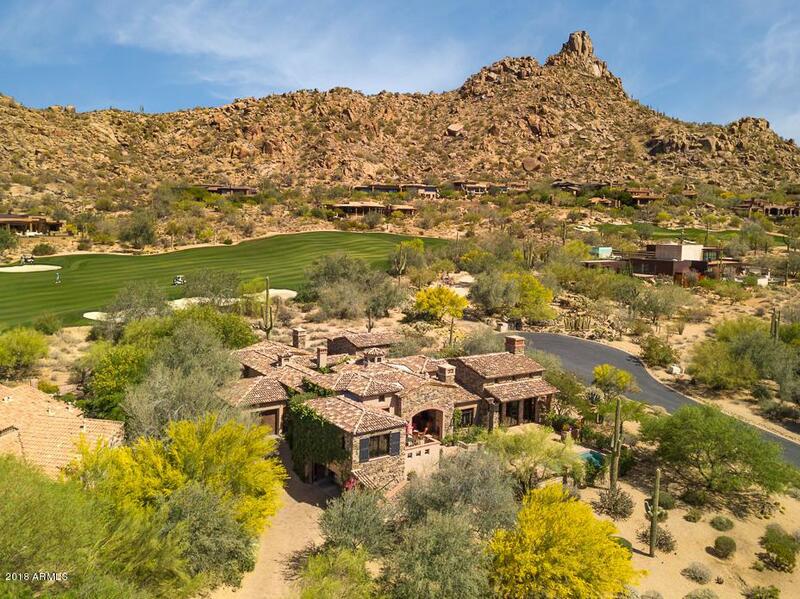 This home is a product of 3 Masters of the southwest - Mark Candelaria (architect), Nance Construction and Billie Springer (interior design). 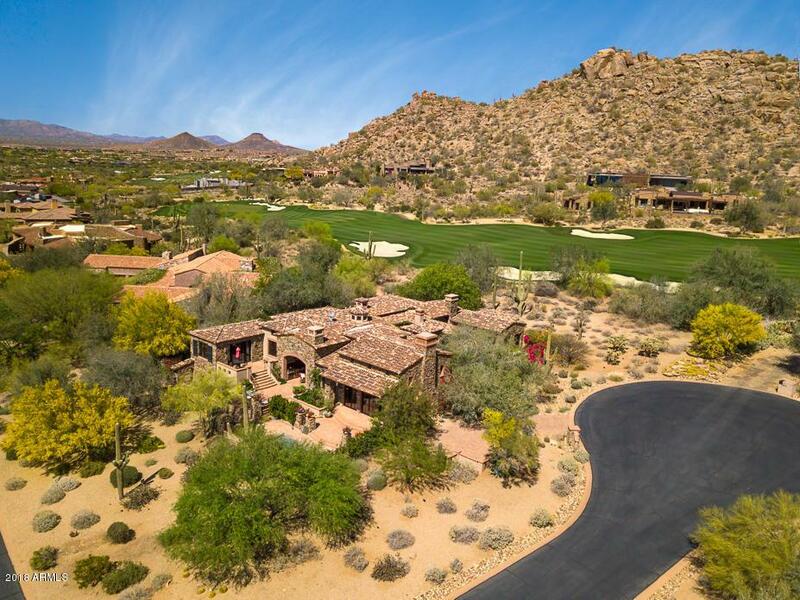 Sitting on the 8th fairway of the renowned Estancia Golf Course, it offers a sense of unmatched privacy in a mountainside setting.